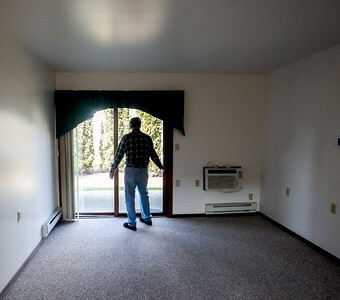 Sarah Nader- snader@shawmedia.com Eugene Daniels of McHenry tours an apartment at Green Trees Apartments in Huntley Monday, March 7, 2016. 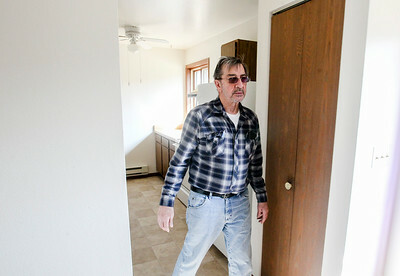 Daniels and his wife have struggled to fine affordable housing in McHenry County. Green Tree Apartments is owned and managed by the McHenry County Housing Authority. This unit was being offered at the current base rent of $375 a month. Sarah Nader- snader@shawmedia.com Eleanor Palitsch of Huntley shows Eugene Daniels (left) of McHenry an apartment at Green Trees Apartments in Huntley Monday, March 7, 2016. 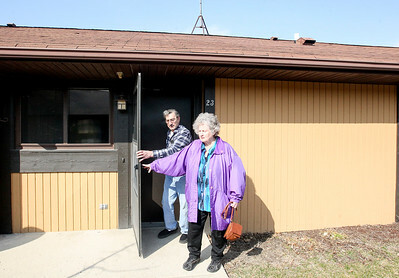 Daniels and his wife have struggled to fine affordable housing in McHenry County. Green Tree Apartments is owned and managed by the McHenry County Housing Authority. This unit was being offered at the current base rent of $375 a month. 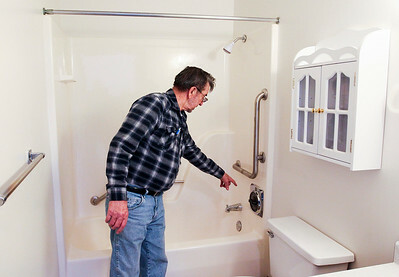 Sarah Nader- snader@shawmedia.com Eugene Daniels of McHenry points out the handicapped accessible bathroom while touring an apartment at Green Trees Apartments in Huntley Monday, March 7, 2016. 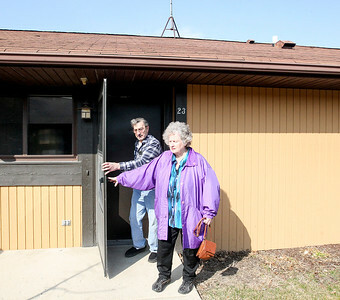 Daniels and his wife have struggled to fine affordable housing in McHenry County. Green Tree Apartments is owned and managed by the McHenry County Housing Authority. This unit was being offered at the current base rent of $375 a month. 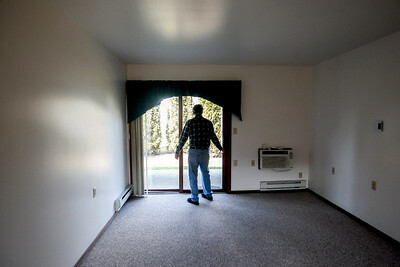 Eugene Daniels of McHenry tours an apartment at Green Trees Apartments in Huntley Monday, March 7, 2016. Daniels and his wife have struggled to fine affordable housing in McHenry County. Green Tree Apartments is owned and managed by the McHenry County Housing Authority. This unit was being offered at the current base rent of $375 a month.